As Australia’s mining boom sputters, the country is searching for a new economic engine. The leading candidate is property. But policymakers will be taking avoidable risks in stoking a real-estate bubble. It would be safer to accept lower GDP growth. Demand for Australia’s metals and energy is waning as China retools its economy toward more domestic consumption and less investment, forcing miners like BHP Billiton to scrap or delay projects worth billions of dollars. 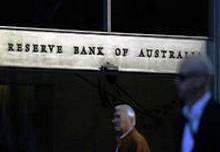 The Reserve Bank of Australia expects mining investment to peak at 8 percent to 9 percent of GDP over the next two years. Property may pick up some of the slack. Jonathan Kearns, head of economic analysis at the central bank, says there are “tentative signs” investments in housing will partly offset lower contributions to GDP growth from resources. As interest rates soften further and rents firm up, housing investment, which has declined by 2 percentage points from its mid-2004 high of 6.6 percent of GDP, could potentially take over from mining. Yet there are good reasons why politicians shouldn’t pin their growth strategy on real estate. To begin with, houses aren’t exactly affordable. Nor are households, which are eagerly prepaying existing debt, inclined to borrow more. The ratio of Australian house prices to income was 28 percent higher last year than its long-term average, according to OECD; it was 14 percent below average when the previous boom began in the late 1990s. And back then households had half as much debt to service out of disposable income as they do now. With the loan-to-deposit ratio at Australian banks an already-high 135 percent this isn’t the time to be tolerant of lower lending standards. That would only add to the vulnerabilities of a banking system that depends on wholesale markets for a significant part of its funding. If the mining fadeout weakens the exchange rate, that will make Australia’s non-resource exporters more competitive. Improvements in labour productivity could also help. If housing investment stops falling, that should be enough – even if Australia’s GDP growth slows as a result. The lucky country should avoid tempting fate. With coal prices unlikely to get back to record levels, it is becoming hard to justify expanding BHP Billiton’s coal operations in Australia, CEO Marius Kloppers said in notes for an Oct. 17 speech in Brisbane. The company has shelved plans for a $3 billion coking coal mine in Queensland. It has also scrapped a $20 billion expansion of its Olympic Dam copper and uranium mine in South Australia.